KJG Series Hollow Blade Dryer - Changzhou Fushite drying Engineering Co., Ltd.
Based on the absorption of advanced technology at home and abroad, Changzhou Zhongtong Drying Equipment Co., Ltd. can improve and optimize the design of the wedge-shaped hollow blade dryer, which can indirectly heat or cool the paste, granular, powder and slurry materials. Unit operations such as drying, cooling, heating, sterilization, reaction, and low-temperature calcination can be performed. The special wedge-type stirring heat transfer blade in the equipment has high heat transfer efficiency and self-cleaning function of the heat transfer surface. Densely lined with wedge-shaped hollow shaft hollow blades, heat medium through the hollow axial flow through blades. Unit effective volume of a very large area of heat transfer, heat medium temperature from -40 ℃ to 320 ℃, can be water vapor, may also be liquid-type: such as water, oil and so on. Indirect conduction heating, the air does not carry away the heat, the heat are used to heat materials. Only through the device body heat loss to the environment, heat insulation layer. Wedge-shaped blades with self-cleaning heat transfer surfaces. Wedge-shaped surface material particles and scrubbing effect relative movement, to wash away the wedge surface material attachments, so in operation have maintained a clean heat transfer surfaces. Blade dryer for the W-type shell, the shell of the general arrangements for 2-4 hollow stirring shaft. Shell with a sealed cover with the cover to prevent dust leakage and collection of materials, solvent vapor materials. Set out and exit pull a block, to ensure a high degree of material level, so that heat transfer surface is covered with full play materials. Heat medium through the rotary joint, passing through the shell jacket and the hollow stirring shaft, hollow shaft stirring according to the type of thermal media have different internal structures to ensure the best heat transfer. Blade dryer has been successfully used in food, chemical, petrochemical, dye, industrial sludge and other fields. Equipment heat, cooling, mixing features make it to complete the following unit operations: calcination (low temperature), cooling, drying (solvent recovery), heating (melting), response and sterilization. Mixing blades at the same time the heat transfer surface, the effective volume per unit area of heat transfer increases, reducing the processing time. Heat transfer surfaces in wedge-shaped blades with self-cleaning function. Compression - Expansion mixing features make the material mixed uniformly. Material along the axis into a "plug flow" movement, in the axial zone, the material temperature, humidity, mixing a very small degree of gradient. 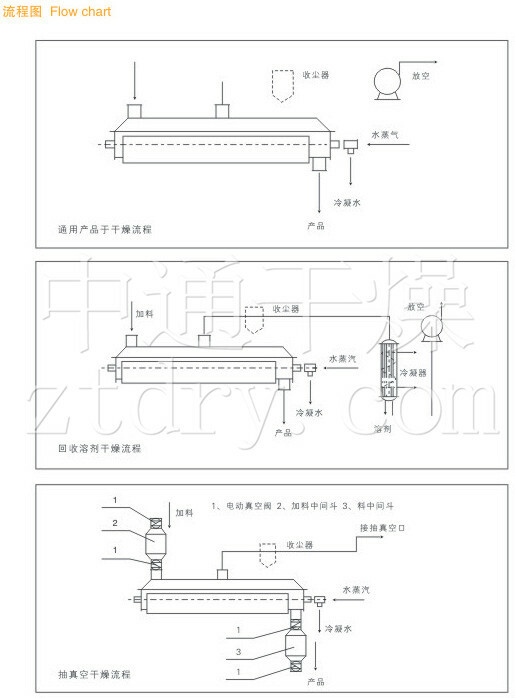 ● Conducting oil to do with the heat medium, blade dryer to complete the work of low-temperature calcination. Such as: calcium sulfate dihydrate (Ca2SO4 · 2H2O) calcined into calcium sulfate hemihydrate (Ca2SO4 · 1/2H2O). Sodium bicarbonate (NaHCO3) into calcined soda (Na2CO3) and so on. ● Pass into the cooling medium, such as water, salt, etc. can be used to cool the cooling. Such as: use of soda ash industry in blade-type cooler base machine to replace the old air-cooled cooler base machine, saving energy and exhaust gas processing equipment, lower operating costs, but also for titanium, nickel alloy powder and all kinds of powder granular materials cooling. On a single machine where the material can be cooled from 1000 ℃ to less than 40 ℃. ● Dry, the main function of equipment, do not use hot air to solvent recovery, energy consumption, environmental control is easy to deal with the ideal state. On the need to recover solvents, heat-sensitive materials, particularly flammable adapt easily oxidized. Has been widely used in fine chemical, petrochemical, dye industry. ● Axial range, temperature, humidity, mixing degree of uniformity, so equipment can be used to heating or melting, or some solid material response. In the compound and modified starch industries have been successfully used. 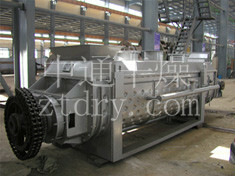 Blade dryer can be used to carry out sterilization of food and flour. Unit within the effective volume of a large heating area, will soon be material heated to sterilization temperature, to avoid prolonged heating change the quality of materials. Petrochemical Industry: polyolefin powder, polycarbonate resin, high and low density polyethylene, linear low density polyethylene, polyacetal particles, nylon 6, nylon 66, nylon 12, cellulose acetate, polyphenylene sulfide, propylene base resin, engineering plastics, polyvinyl chloride, polyvinyl alcohol, polystyrene, polypropylene, polyester, polyoxymethylene, styrene ~ Acrylonitrile, ethylene propylene copolymer ~. Petrochemical industry: polyolefin powder, polycarbonate resin, high and low density polyethylene, linear low density polyethylene, polyacetal granules, nylon 6, nylon 66, nylon 12, acetate, polyphenylene sulfide, propylene Base resin, engineering plastics, polyvinyl chloride, polyvinyl alcohol, polystyrene, polypropylene, polyester, polyoxymethylene, styrene-acrylonitrile copolymerization, ethylene-propylene copolymerization. 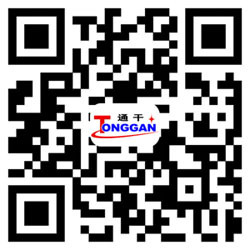 Environmental protection industry: PTA sludge, electroplating sewage sludge, boiler soot, pharmaceutical factory waste, sugar factory waste, MSG factory waste, coal ash. Food industry: starch, cocoa beans, corn kernels, salt, modified starch, medicines. Chemical industry: soda ash, NPK compound fertilizer, kaolin, bentonite, white carbon black, carbon black, phosphogypsum, oxidized sodium fluoride, calcium nitrate, magnesium carbonate, sodium cyanide, aluminum hydroxide, barium sulfate, calcium sulfate, Dyes, molecular sieves, saponins. ● Blade dryer energy consumption is low: as indirect heating, the air does not carry away a lot of heat insulation of dryer wall has, on the slurry material, evaporation of 1kg of water vapor only 1.22kg. ● Blade dryer system costs low: within the effective volume of units have a large heat transfer surface, the reduced processing time, equipment size becomes smaller. Would greatly reduce the building area and building space. ● Dealing with a wide range of materials: using a different hot medium, able to deal with heat-sensitive materials can be heat-treated materials handling. Commonly used media are: water, steam, oil, hot water, cooling water. Continuous operation can also be intermittent operation can be applied in many fields. ● Environmental pollution: do not carry air, dust entrainment few materials. Solvent evaporation material is very small, easy to handle. To have contaminated materials or be recycled solvent conditions, can be used closed circuit. ● Low operating cost: the equipment normal operation, only 1 hour / Heaven. Low speed and reasonable structure. Wear a small, very low maintenance costs. ● Operation stability: As the wedge-shaped blades of special compression - expansion of stirring, so that material particles sufficient surface contact with the heat transfer in the axial zone, the material temperature, humidity, mixed density gradient is very small, thus ensuring the process stability. ● Low energy consumption of the paddle dryer: Due to indirect heating, there is not a large amount of air carrying heat, and the outer wall of the dryer is provided with an insulation layer. For the slurry material, only 1.22 kg of water vapor is required to evaporate 1 kg of water. ● The blade dryer system has a low cost: it has a huge heat transfer surface in the effective volume, which shortens the processing time and reduces the size of the equipment. It greatly reduces the building area and building space. ● Wide range of processing materials: Different heat media can be used to process both heat sensitive materials and materials requiring high temperature processing. Commonly used media are: water vapor, heat transfer oil, hot water, cooling water, etc. It can be operated continuously or intermittently and can be applied in many fields. ● Low environmental pollution: no air is used, and dust materials are rarely entrained. The solvent evaporation of the material is small and easy to handle. Closed loops can be used for contaminated materials or for conditions requiring recovery of solvents. ● Low operating cost: The device operates normally, only 1-2 people/day. Low speed mixing and reasonable structure. The amount of wear is small and the maintenance cost is low. ● Stable operation: Due to the special compression-expansion agitation of the wedge-shaped blades, the material particles are fully in contact with the heat transfer surface. In the axial interval, the temperature, humidity and mixing gradient of the material are small, thus ensuring the process. Stability.